People are addicted to smartphones for a reason. You’re connected to all the people in the world through smartphones. There is an application for everything. So, what would we need again? That’s probably why Facebook closed 200 Oculus Best Buy pop up; we haven’t seen virtual reality headset at people’s houses; some people haven’t even heard of virtual reality; some think it’s just a trend or just a niche. But that doesn’t mean virtual reality has failed. Let’s forget about the promising data for a while and see the reality: Companies are investing tens of millions of dollars into collaborative virtual reality platforms. Big tech giants, such as Facebook, Google, HTC, are working on virtual reality. How can we close our eyes on its potential? Maybe, virtual reality just needs a different approach to grow. And, it starts from you, the developers and early adopters of virtual reality. Don’t treat virtual reality like a smartphone and its apps. First of all, we can’t treat virtual reality like a smartphone and its apps. I mean, that’s what we see today: New virtual reality headsets are coming to the stores as if it were something most people are already aware of. Developers are investing their times on creating virtual reality apps for end-users. This is actually an important phase, but we can’t just stay here if we want it to grow. Because virtual reality is a different technology. It’s not the next smartphone. Smartphones can be so big today because it evolves from a phone we’ve already been using for more than a decade to a simple monochrome cellphone, and see how it becomes today. People already recognized smartphones even before it was invented. That’s different with virtual reality. We didn’t have any device that transports us into a new place. Smartphones already take a lot of steps — from phones to a cell phone, technology improvement, the internet. Virtual reality may still be in its first step. But just like a baby, it’s much, much easier to take the second, third, fourth, and more step after the first step was taken. So, yeah, we have taken the first step. That means we’re really close to the mainstream consumption of virtual reality. We have the headsets. We have some great content. Virtual reality developers are improving their skills through the apps they have created. Companies are investing tens of millions of dollars for virtual reality. Businesses are using virtual reality for their branding strategy. And, even I… I see a lot of potential in virtual reality that I can write this article for you. …new virtual reality headsets are coming to the stores as if it were something most people are already aware of. Most people aren’t aware of virtual reality, like the way they are aware of smartphones. Oh, well, they might know it. They never thought the day where we all have WiFi in our houses is already here. So, we need to take a new approach after “releasing the virtual reality headsets and making apps on the platforms”. Want to grow and monetize VR? Focus on B2B opportunity. Basically, people buy something because it’s already widely used. Let’s take a look at the internet. In the country where I live today, several years ago, we had Internet Cafe, a place which provides internet access to the public, usually for a fee charged as a time-based rate. These internet cafes were everywhere. It made the internet recognized by most people. But as the time went by, the internet was getting much better and faster. Further, we had our own friendship on the internet. We had our questions answered. It helped our homework. And all of those things that make us feel like, “We can’t live without the internet.” So, that’s how it all started why we’ve now got a WiFi at home: We finally find that we truly need it. The approach might be different for virtual reality. But the goal is the same: How to make it recognized by people and make them realize how they truly need it. You, just focus on B2B opportunity and let the top brands bring virtual reality to their customers. Till it’s widely recognized. If you’re a virtual reality developers who have some portfolio, try to focus on B2B opportunity. Big giant techs are working on virtual reality. There shall be no excuse that smart companies would close their eyes on this technology. Moreover, some companies already successfully executed virtual reality as their branding strategy. The first edition of Volvo XC90s sold out in less than two days, as they launched Volvo Reality, the first virtual reality test drive. 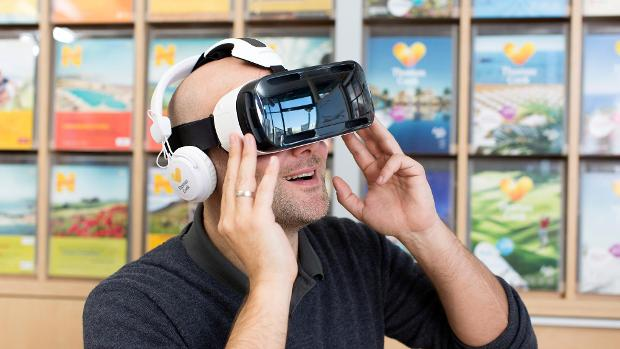 Thomas Cook’s revenue was up by 190 percent for just one destination excursion, after installing virtual reality headset in its stores as the Do a Virtual Travel Before You Buy the Ticket. Lowe’s helped customers to see their home plan through Holoroom, a virtual reality simulation where the customers can paint the wall, tile the bathroom, and anything they want for home improvement. Mishkat the Interactive Center for Atomic and Renewable Energy, partnered with Visual Experience, launched BeThere: Renewable Energy, a virtual reality book that allows students to visit a virtual renewable energy park and work on a mission to learn about the topic. However, before approaching some local businesses, find a problem you can only solve in virtual reality. So, list some of the potential businesses in your city, think carefully, prepare your idea, and give strong arguments how virtual reality is the only solution for that problem. 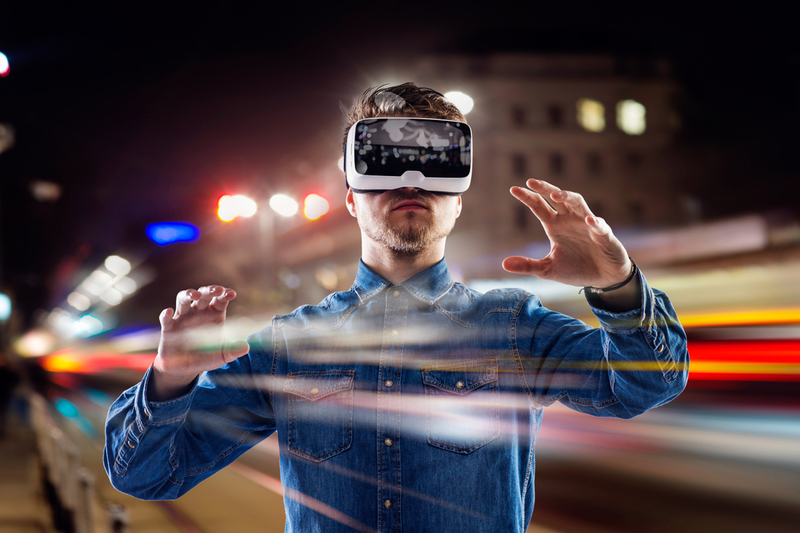 If you need some ideas for marketing strategy, I have written for you, 14 Best Examples of VR Marketing That Will Inspire Your Next Marketing Tactics. If you want to offer virtual reality to local schools, colleges, universities, take a look at this article titled 18 VR Ideas That Commercially Work in Education. You, as a virtual reality developer, might be one of the first people who introduced virtual reality to the local businesses, so be objective while explaining virtual reality. Don’t underestimate any virtual reality platform (I’m talking about mobile-based virtual reality) because Cardboard might be the first attempt the businesses would try, as it’s the most affordable choice. So, be open, list the options, give some recommendation with strong reasons. This is not the time to decide the best virtual reality platform; it’s all about the right one. How BeThere works. Want a branded version for your clients? Contact us! And, smartphones make everything easy. It leads to the character of our generation: People want something easy and fast. Businesses want effectiveness and efficiency. So, be experimental with WebVR, as it doesn’t require to download an app (which will take some space on our smartphone). Also, it works with any kind of virtual reality headset. Most importantly, be creatively creative in proposing and presenting your virtual reality service. We can learn from BeThere, an international patent pending product by Visual Experience, on how it can become anything in virtual reality. It can be a virtual reality book for students, as you see it on BeThere: Renewable Energy edition. Moreover, it can be a virtual reality souvenir as it did for Effat University. And, it can be anything you want to cover your virtual reality services. ← Is Virtual Reality Really Promising?